Offers 100 freely downloadable digital designs, 1-month Design Store subscription, the increased 2 mm cutting depth, and an automatic cutting depth adjustment for different materials. You need to open the upper cover to get an access to the display. 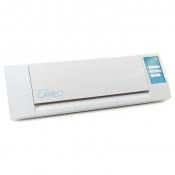 The CAMEO 3 versatile scrapbooking machine cutter is definitely one of the top choices for a creative person. Using its compact cutting blade the cutter works with a range of materials exceeding 100 different types. 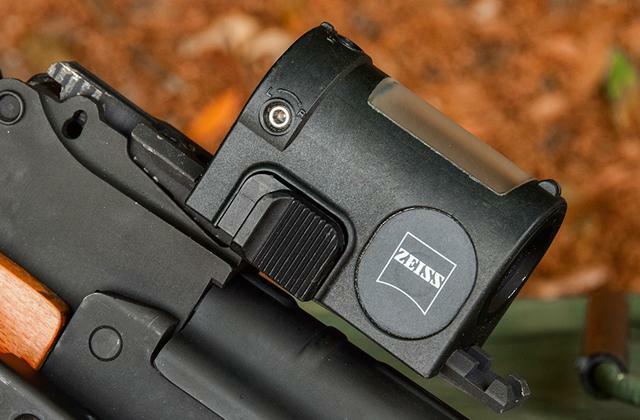 Many convenience and proprietary features supported by the device make it very simple in operation. 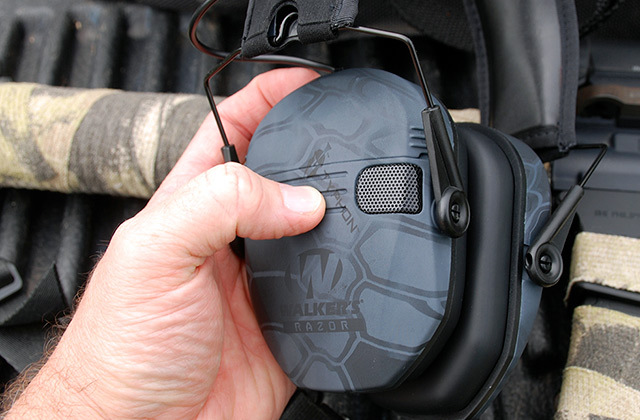 Built-in Bluetooth, so it can be connected to your PC or smartphone. It features a free cloud sync and can be operated from a PC, iPad, iPhone and Mac to synchronize your projects on all your devices. This scrapbooking machine requires Internet connection for most tasks. 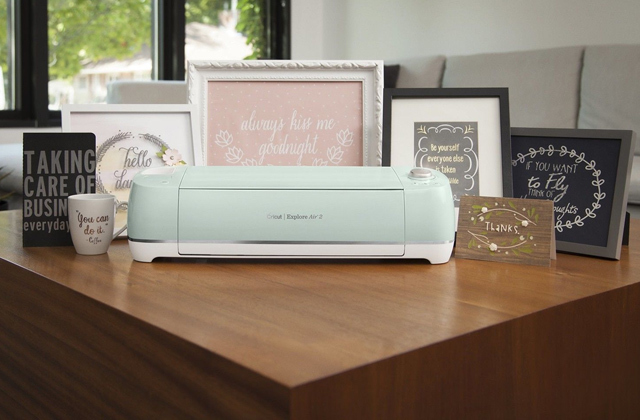 A very good scrapbooking machine with Bluetooth support and cloud-based options for easy access to any images no matter where you are. 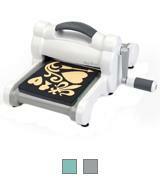 This scrapbook machine cutter can be used remotely via Bluetooth. Besides, this scrapbooking machine has a storage place for additional cutters, blades, etc. Its 3-foot USB cable might be too short but you can always buy a longer one. A decent scrapbooking machine which is able to cut a variety of materials, features remote access and a huge library of unique ready-made patterns. Paper, cardboard, vinyl, fabric, thermal paper, etc. This model allows for scanning any material pattern with saving to the cutter's memory and future use. An ergonomic screen makes editing your designs on this cutter an easy task. An online activation card is required for a wireless operation. 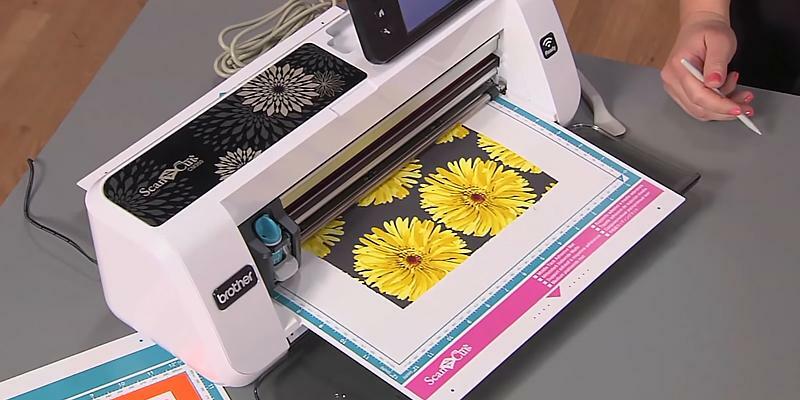 ScanNCut is a multifunction device, which allows you to combine your custom patterns with more than 600 included ones for creating even more interesting designs. 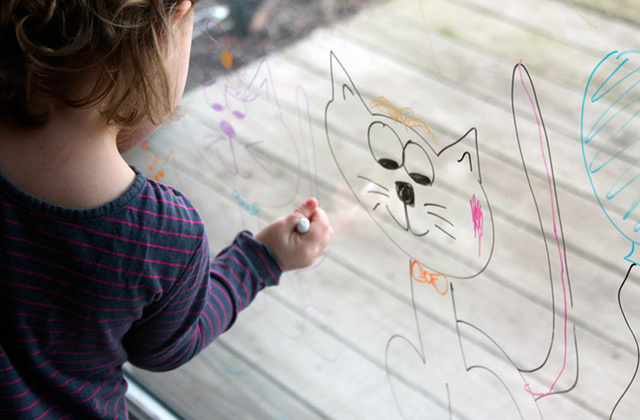 The Brother CM350 model can help unleash your creativity. 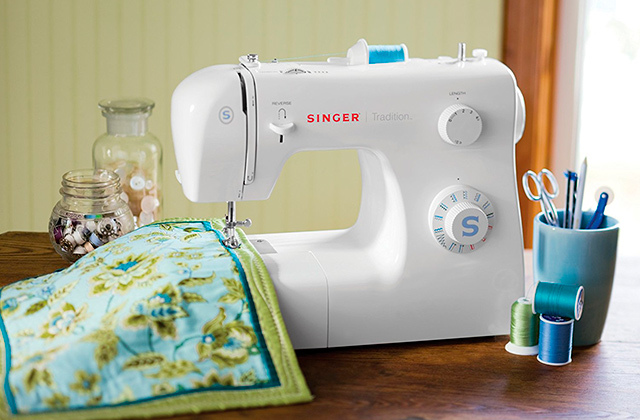 Cuts a variety of materials used for quilting, sewing, scrapbooking and other arts and crafts. 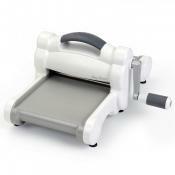 This manual scrapbooking machine features a configurable Extended Multipurpose Platform. 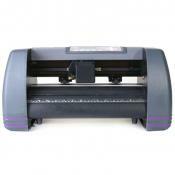 It can work with the embossing tools and dies of other brands. Some people think the design of this cutting machine is too simple. This scrapbooking machine is well-suited for beginners, and will be a perfect present for your child. It looks nice and is quite simple in use. Also, the price is very adequate. A pair of standard transparent cutting plates. Maximum working area of 6" × 20"
If you are a fan of the parties and like to organize them or do some scrap work on request or for yourself, then you will find the Silhouette CAMEO 3 to be very handy. 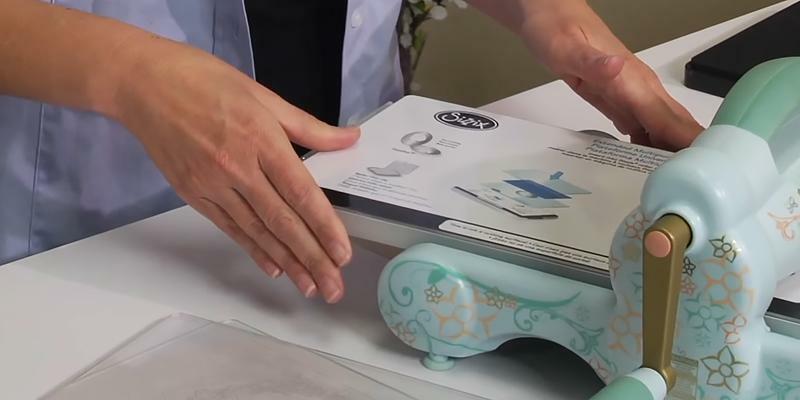 This versatile DIY scrapbooking cutting machine with a small knife can cut out various labels, toppers, stickers and more for a party. This device can cut boxes, packing bags. You are free to create even some teaching material for children, which can be rendered in the form of letters, numbers and geometric shapes of different colors and sizes. One of the noteworthy advantages this plotter offers is the convenient AutoBlade knife, which automatically adjusts the cutting depth. 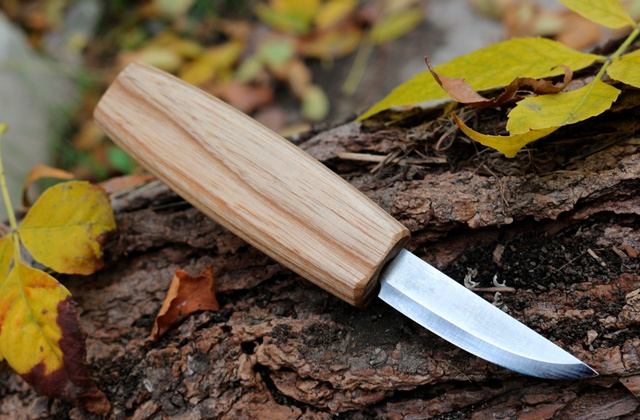 Unlike previous models, this knife has an increased clearance for cutting dense materials to up to the depth of 2 mm. The dual-carriage for using two tools at a time allows cutting a shaped element and quickly drawing or writing something on it with the special sketch pen. If you found a figure in a magazine or any other published material that you took a fancy for, you can simply take a picture of it using a camera, smartphone or a tablet PC through in the PixScan application and upload it to the Silhouette Studio for the scrapbooking cutting machine to make a cutting along the defined contour. Speaking generally, the device is a versatile tool, which will be an excellent buy or a gift for a creative person. The Cricut machine and online design studio only allow for a cut area of 6 inches by 9 inches! Now, if you're buying expensive sticker paper or vinyl it probably comes in 8.5x11" and everything outside 6"x9" is waste. Built in storage is nice enough. It doesn't add much to the overall size (and this version is quite a bit larger than the cameo and cameo 2), so it's good they were thoughtful about how to utilize the added size. 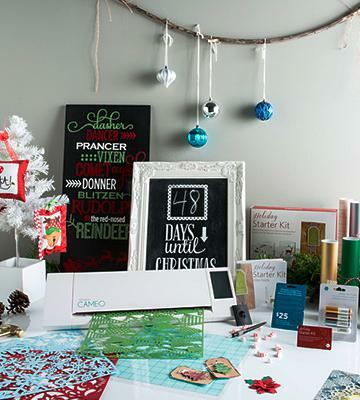 The Cricut scrapbooking machine package includes Cricut Design Space online software, an iPad app, a cutting mat, power and USB cords, a Metallic silver pen, an iron-on and a cardstock samples, 50+ free projects and 100+ free images — everything you might need to bring out your most creative side. 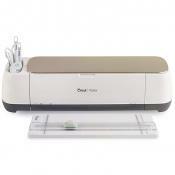 This is an electronic scrapbooking machine and manual operations are minimized. 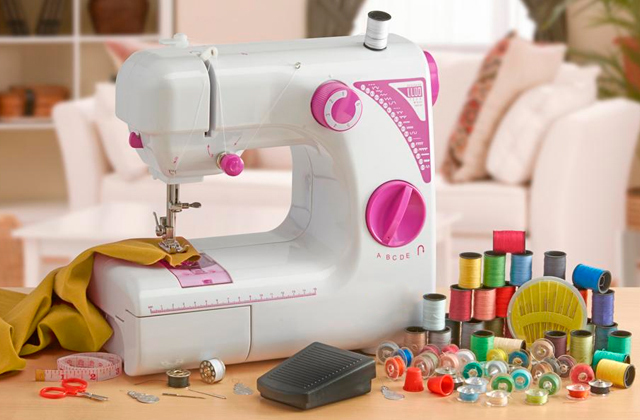 This scrapbooking machine has one adjustable set knob, so choose the material and set the Smart Set dial for precise and easy cutting. This scrapbooking machine is not big but portable and easy to carry, so there won't be any problems finding a place to use it. The ability to design and cut wirelessly! I mean, you can literally sit on your iPad on the couch and design something, pop into the craft room when you're ready and start cutting! Decent cutting job at detailed small cuts. It was able to handle it all, but you will need a really good blade. 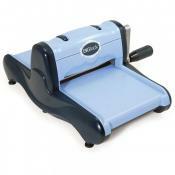 This scrapbooking machine cutter works with paper, cardstock, vinyl, fabric and lots of other materials. This scrapbooking machine is a perfect cutter to create your own apparel, accessories and decorations for every special event of your life. 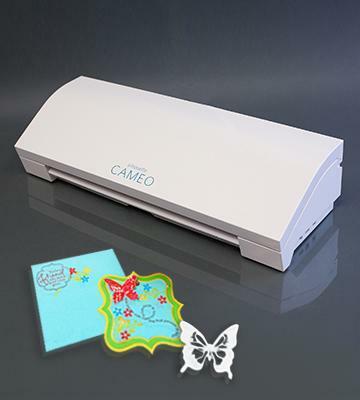 Silhouette Cameo scrapbook machine cutter has a 12-inch full-color touch screen, so you can easily see and adjust your designs for the most precise cutting. Also, you can install the Silhouette Studio Designer Edition software and connect the scrapbooking machine to your PC or Mac. 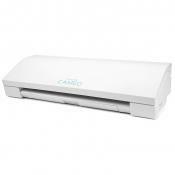 Silhouette Cameo scrapbooking machine is shipped with 2 cutting blades, a vinyl trimmer, 2 mats of 12x12 inches, Silhouette Studio software for Windows XP/Vista/7 and Mac OS X 10.5.8, a month of free membership in Silhouette Download Store, a USB and a power cable. A good scrapbooking cutting machine kit with all the necessary needed accessories to start working immediately. 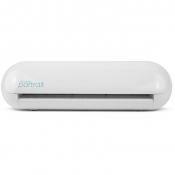 Silhouette Cameo is a very compact and portable electronic scrapbooking machine. After connecting it to the Internet, lots of ready-made patterns are at your service. 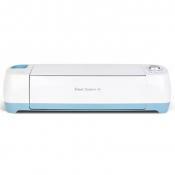 You can connect this scrapbooking cutting machine to your PC like a printer (instead of printing, it will cut out your designs and patterns). 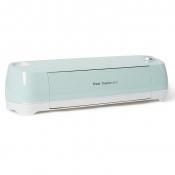 Or let this scrapbooking machine store all your images in its own digital library. 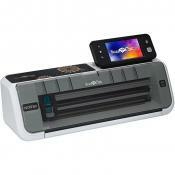 The Brother company introduced the multifunctional Brother ScanNCut device intended to help creative people in the implementation of their projects. With this scrapbooking cutting machine, you can easily cut even complex geometry parts made of paper or fabric instead of doing a painstaking manual cutting. 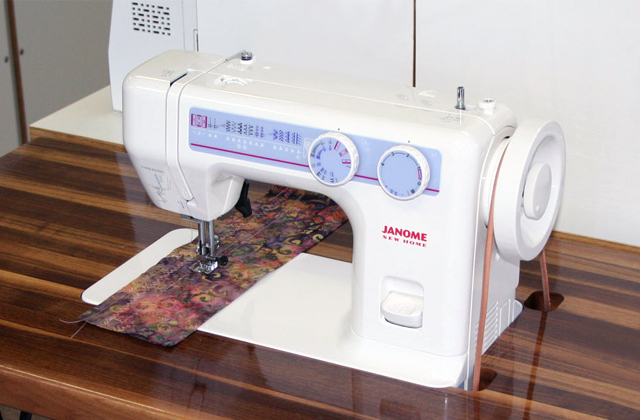 This device will be highly appreciated by anyone who is engaged in making products from scrap materials or a patchwork. The most prominent advantage of this model is its ability to scan any images, pictures, drawings and even photos for saving them to the memory and future reuse. 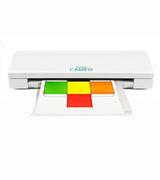 The built-in 300 dpi scanner with RGB color recognition will enable you to create your own complex design. 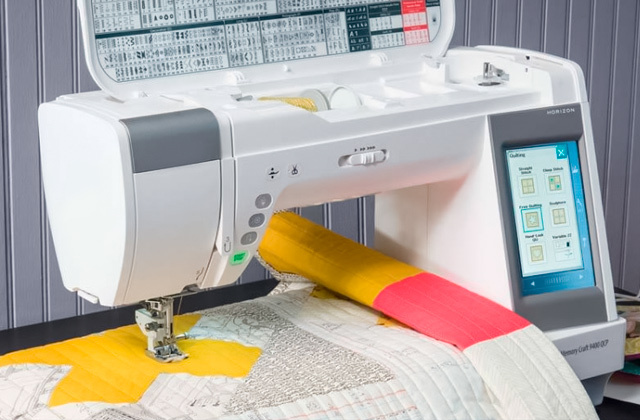 Moreover, you can even combine your own patterns with the 100 quilting designs already stored in the cutting machine memory, with 531 available card and package cut designs, etc. and 7 different fonts. The large display of the device makes managing and editing various projects a no issue. We recommend you to take a closer look at the starter kit, which makes it possible to apply your creative skills right away. The scanning capability is the bonus, but with Silhouette's newer versions, this machine will have some good competition. 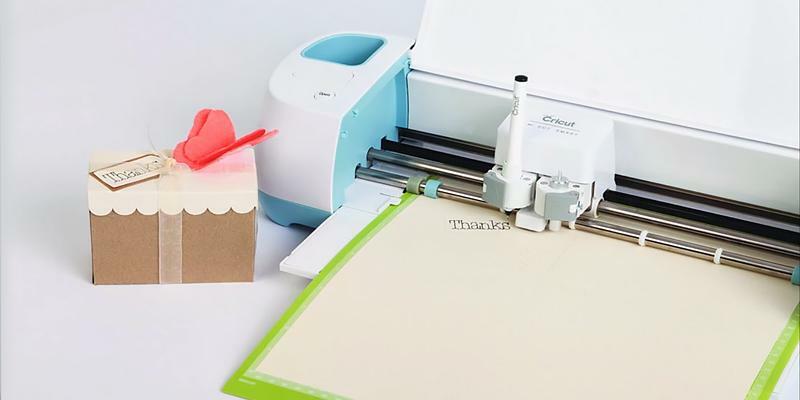 Thanks to the extended multipurpose platform of this manual scrapbooking machine cutter, you'll be able to cut out any shape and design with the blades of different size and thickness. 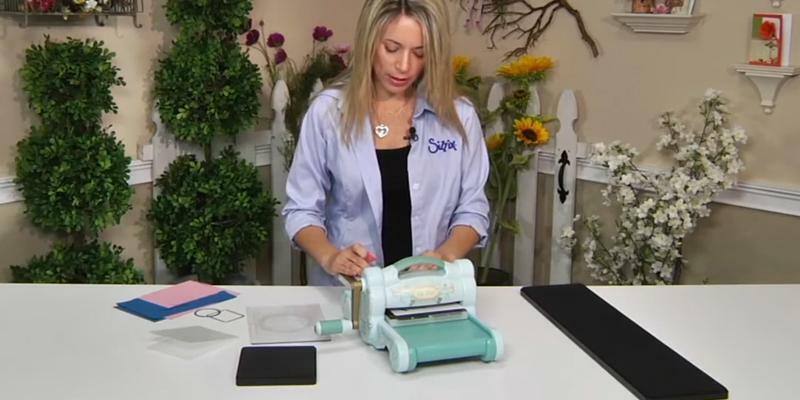 This scrapbooking machine gives you an opportunity to cut and emboss different materials (from paper to leather and thin metal). Another feature of this scrapbooking machine is that you can use almost any blade you'd want, whatever their asdasdmanufacturer is. 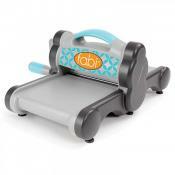 This scrapbooking machine cutter features an adjustable extended multipurpose platform. The package of this scrapbooking machine also contains a pair of cutting pads. Also, you will get an access to the entire Sizzix library with various products. You will be totally satisfied with this simple but useful scrapbooking machine for a very good price. 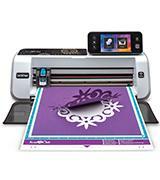 Sizzix is a mechanical scrapbooking machine, which means all the operations are performed manually. There is no need to install the software and use the additional devices. 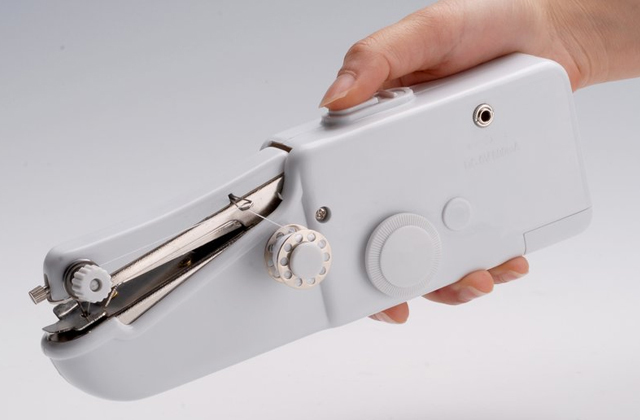 Cutting blades of other brands can be used with this scrapbooking machine. It's a great advantage if for any reason buy the original ones. 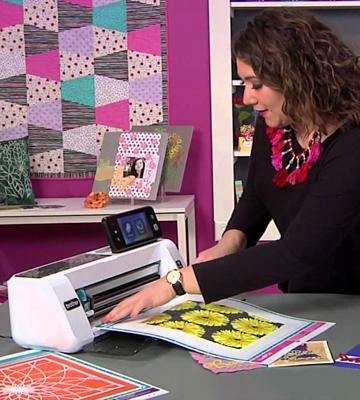 This Sizzix scrapbooking machine is very easy to use — even a child will enjoy it. Versatile. It really has worked with every accessory I've tried so far. 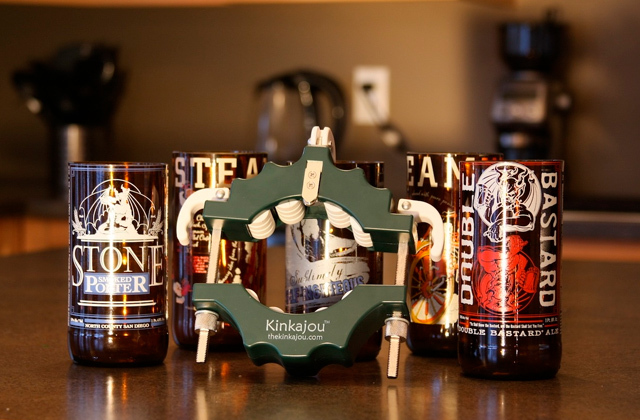 The best feature is the ratio of turns of the handle: many less than another brand machine. Highly recommended. 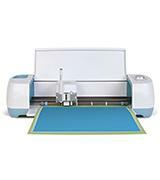 A Scrapbooking Cutting Machines helps you cut out shapes and emboss figures and shapes on paper, fabric, cardboard, leather, vinyl and other materials. A scrapbooking machine operates with a special mechanism with a pair of rolls, which form the pressure between the plates and the cutting tool. The rollers are spun, manually or by an electric motor, and push the plates, the material, and the blade forward. As a result, you get fine cutting. Special folders are used instead of blades for embossing. A scrapbooking machine is a great helper in all kinds of fancy craft. Our review will help you find the best scrapbooking machine to suit your needs. If you like to create something new and breath life into it, take a look at our 3D printers review. 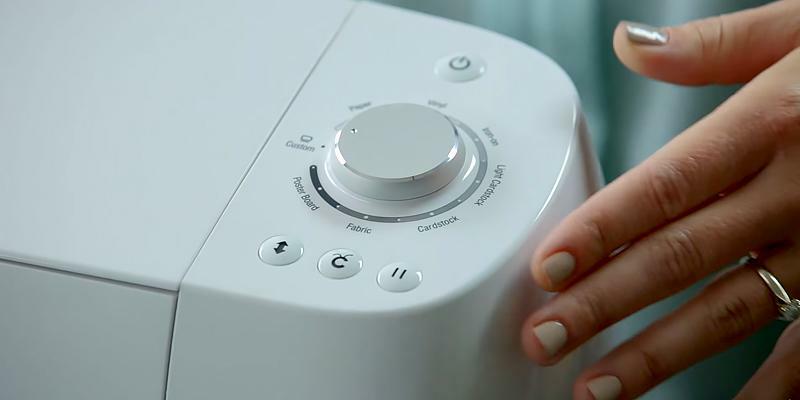 This innovative device will help you give your ideas a real shape. 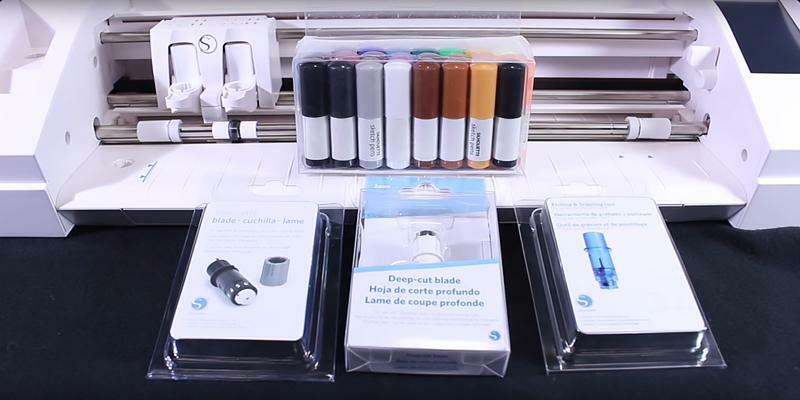 Capabilities define what tasks your scrapbooking machine can perform. The best scrapbooking machine will let you create different decorative elements, cut out any stuff with perfect shape and edges, create your own carvings and chipboards, draw decorative borders, make accessories or create new stamping patterns and much more, quickly and easily. There is no need to cut your workpieces manually anymore. A scrapbooking machine is at your service. When choosing a scrapbooking machine, pay attention to its Type, as the scrapbooking machine's cutting capabilities depend on it. There are electronic and mechanical scrapbooking machines. Electronic machines will fit those who need a multifunctional device with a lot of programmed handy patterns. 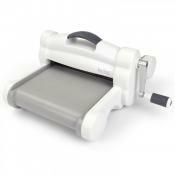 If Portability is important for you, consider buying a manual scrapbooking machine. It is more simple in use and doesn’t need any power source, or being linked up to any additional devices. Such kind of scrapbooking machine can be used anywhere, you can use it at home, take it to a workshop or enjoy creating beautiful stuff with your children. 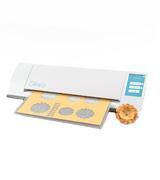 To start using it the chosen scrapbooking machine at once, you should pay attention to its Package contents. 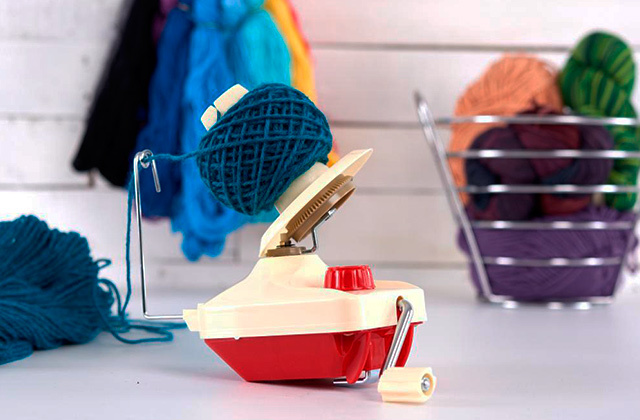 Each scrapbooking machine is shipped with different Accessories in a kit. The more patterns it includes, the better possibilities and combinations for your creativity you’ll get. Also, additional tools for cutting and carving in the package will save you some money. 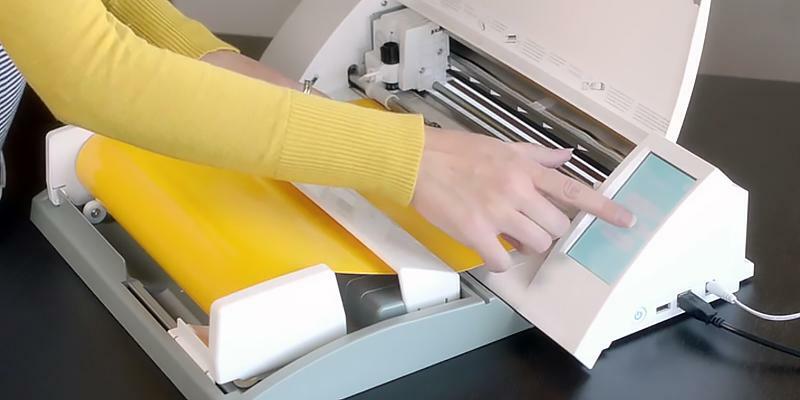 If a scrapbooking machine can be connected to your PC, then its package must include the software and cables you might need. While creating something, it is important to have every necessary detail at hand. For this purpose, a scrapbooking machine give you all the Convenience you want. The simplicity in use and operation of the ready-made patterns is important. For instance, it’s very convenient to use scrapbooking machine cutters that have a built-in screen.